We live in a business world with new and dynamic technologies, innovative business models, vulnerable finances and flexible markets that are in continuous change and evolution. Although, this development respond largely to globalisation, technology has a fundamental role in this process. Therefore, the results are directly seen in the professional world, with new styles, ethics, work-practices and of course, new occupations, breaking traditional paradigms over professional career’s expectations. What are going to be the next steps to continue my career path? What tools, abilities and skills should I acquire? As a Human Resource professional, I am a true believer that Leadership and Navigation is key to advance in your career. These terms are defined as the ability to lead and contribute to the organisationals initiatives and processes, through adequate practices for time management, transformational management, goals orientation, navigation and resources management, ability to influence others in different levels, among others. This competence must be demonstrated by the professional, at a greater or lesser degree, according to his career level. With the sole objective of giving you an illustrated way of seeing this, the following are some recommendations that should help. Individual Contributor: every professional that performs tasks as an individual; does not require close supervision and demonstrate critical judgement throughout his work. Acquire continuous knowledge about new elements of your professional career, maintain current with new practices, demonstrate proficiency in every opportunity. Listen actively your leader’s expectations, clients needs and peers input. Share your opinions, suggestions and recommendations for continuous improvement of your functions and the organisation you work for. Act in alignment with standards, policies and procedures of your organisation, share your knowledge demonstrating proactivity to others. Demonstrate initiative, participating in committees, supporting special projects, sharing your expertise to achieve team results. Leader: professional whose results are achieved through others; some primary functions: supervisor, manager, director. Understand your industry, business and the organisation you work for; anticipate changes and make proactive adjustments to ensure prompt adaptability. Know your team, profiles of each team members, strengths and opportunities to ensure your delegation process is effective. Act as a transformational leader, adapting to new business realities and facilitating change-process, being an example of ethic, integrity and collaborative work. Develop strategies to adapt and promote continuous improvement, implementing initiatives through transparent communication and clarity of expectations. Influence others within your team and throughout the organisation’s network, managing risks and developing a shared-vision. Be present! Actively participate within your network: professional societies, clubs or other organisations dedicated to career development. Within those communities you will find updated information, colleagues, and a forum to share and listen new and innovative ways to do business. Get out there! Expose your profile and share your knowledge throughout professional social media; this could result in career opportunities. 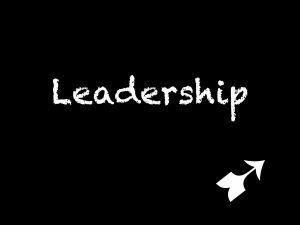 ♦Leadership & Navigation is one of the competencies recognised by Society for Human Resources Management: SHRM Competency Model.